Brian Oakes discusses his film “Jim: The James Foley Story” alongside other panelists, including Diane Foley, James Foley’s mother, and documentarian Maria Finitzo. Oakes discussed his reasons for making the film and the messages he hopes audiences will take away from it. James Foley is a household name after the journalist’s execution by the Islamic State in August 2014. But Brian Oakes, one of Foley’s childhood friends, wanted him to be remembered for more than that. Oakes directed the documentary “Jim: The James Foley Story,” which was screened at the McCormick Foundation Center on Friday. Roughly 60 people attended the screening, which centered on Foley’s family life, career and interactions with those who knew him. Oakes said despite the extensive media coverage after his death, the documentary focused mostly on the impact Foley had on others during his life. Oakes said he knew Foley’s family before creating the documentary, which he said helped tell the story. He said he feared future media outlets would fail to accurately tell Foley’s story, which eventually lead him to make a documentary himself. Prior to his execution, Foley (Medill ‘08) was captured in November 2012 and held hostage by the Islamic State alongside 18 other men from around the world. The film featured interviews with Foley’s parents and four siblings, as well as his friends, colleagues and fellow hostages. 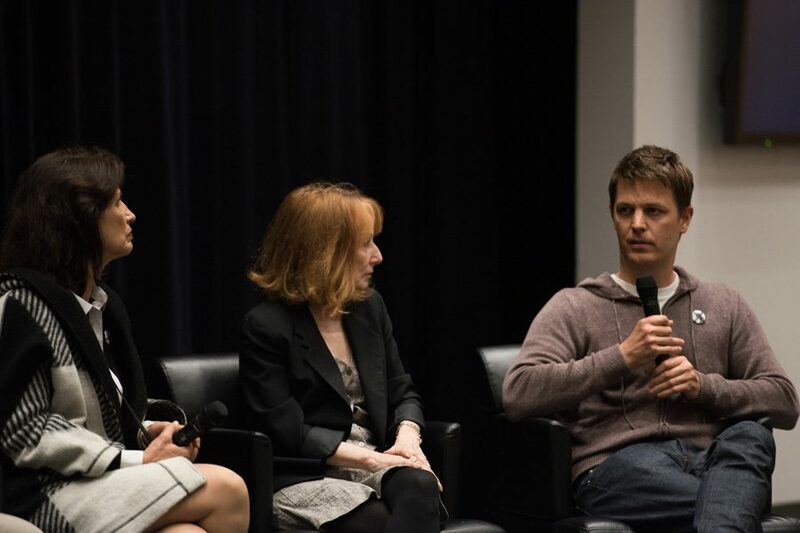 Following the screening, Medill Prof. Brent Huffman moderated a panel that included Oakes, documentarian Maria Finitzo, Medill Prof. Craig Duff and Diane Foley, James Foley’s mother. Diane Foley said she was initially reluctant to participate in the film, but that she is now grateful for the documentary. She said she hopes the film will incite discussion about freedom of speech, journalism and democracy. Through her son’s story and a foundation named for him, Diane Foley also said she aims to increase safety for journalists reporting in potentially dangerous areas, while cultivating a passion for dedicated reporting. Oakes said the film documents James Foley in a personal and truthful way, highlighting both his strengths and flaws. He said he hopes showing the full range of James Foley’s personality leads the viewer to empathize with the journalist. Diane Foley said she hopes the film will impact viewers and lead them to reassess their values. “What would be worth something to Jim would be that his death meant something in terms of making a difference in the world,” she said.